Roger L. Martin, a professor and the former dean at the University of Toronto’s Rotman School of Management, writes about how a detailed plan may be comforting, but it’s not a strategy. The attention strategic planning has attracted in the recent years is the proof that it is evidently used by successful businesses. Executives and managers alike plan their business objectives and the goals in a strategic manner. Various factors such as competitors, market capture, consumer expectations, etc., have to be studied in depth to make better decisions. Thus strategic planning has gained importance. A strategic plan helps the business to reach their desired goals. Strategic planning is a key business tool for any company that wants to stay in control of its own future. 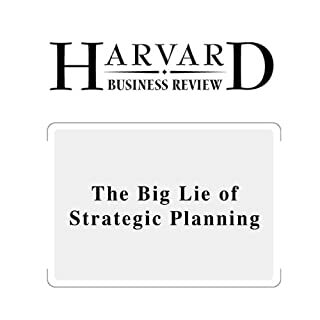 But what exactly is meant by the term "strategic planning"? Isn't all planning strategic? 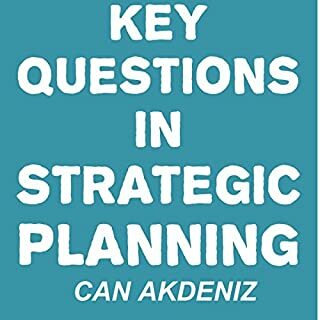 That is just one of the many questions about strategic planning that this audiobook seeks to answer. Disruptive innovation is a popular and powerful concept in the business world - and one that all businesspeople should become familiar with if they intend to stay at the forefront of their industries. 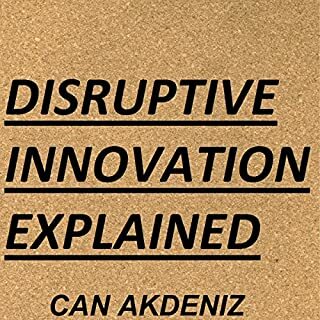 This book offers a detailed discussion of disruptive innovation - what it is, how the term evolved, who created it, and why some people disagree with the theory. Rapidly grow your business while staying sane, focused, and fulfilled. A part of "The Portable MBA" series, this program demonstrates how today's most successful companies are getting the most from their quality initiatives. Learn to integrate strategic quality and business planning to create one tactical process for your entire business. 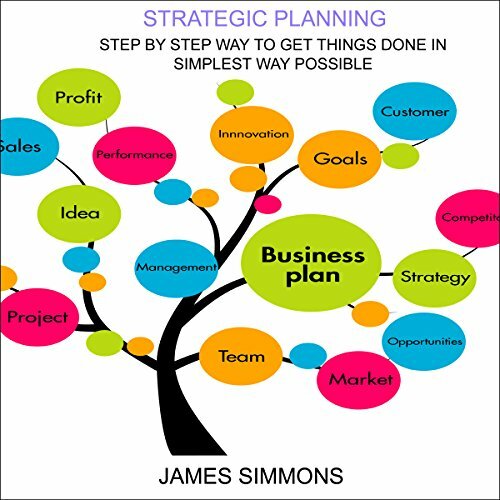 Pete Johnson covers how to follow the correct process to successfully complete a strategic plan for your business. He covers the four phases of doing a strategic plan - focus, analysis, proposed plan overview and implementation. Pete also clarifies the difference between a company's vision and mission. Careful strategic planning is paramount for organizations seeking to establish themselves in our dynamic economy. Still, even the best thought-out strategic plan will falter if employee buy-in is not supported and a thoroughly considered implementation process is not put into effect. In today's business environment, strategic planning stresses the importance of making decisions that will ensure an organization's ability to successfully respond to changes in the environment and plan for sustainable viability. 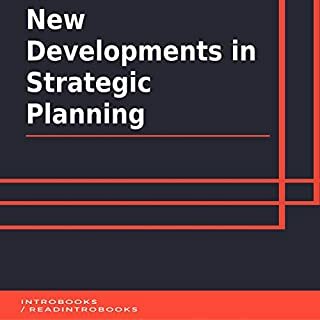 Strategic planning is a process in which organizational leaders determine their vision for the future as well as identify their goals and objectives for the organization. The process also includes establishing the sequence in which those goals should fall so that the organization is enabled to reach its stated vision. Strategic planning is an organizational management activity that is used to set priorities, focus energy and resources, strengthen operations, ensure that employees and other stakeholders are working toward common goals, establish agreement around intended outcomes/results, and assess and adjust the organization's direction in response to a changing environment. It is a disciplined effort that produces fundamental decisions and actions that shape and guide what an organization is, who it serves, what it does, and why it does it, with a focus on the future. 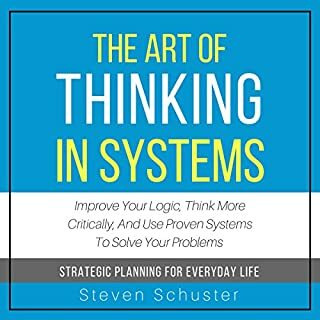 Effective strategic planning articulates not only where an organization is going and the actions needed to make progress but also how it will know if it is successful. Developing a strategic plan can seem like an overwhelming task, but the best place to start is by defining the strategic planning process. The definition of a strategic planning process is quite simply the process of envisioning a future and translating this vision into defined goals, objectives, strategies and tactics. To survive in business, organizations have to make tough decisions and create “battle plans” for success. 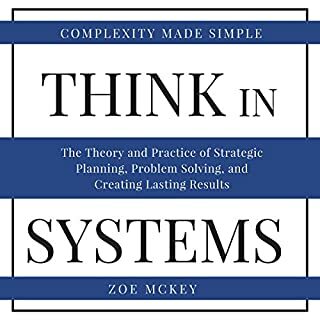 It is hard to accomplish anything without a plan, but if you don’t understand strategic planning, clarifying the basics is a great way to start.